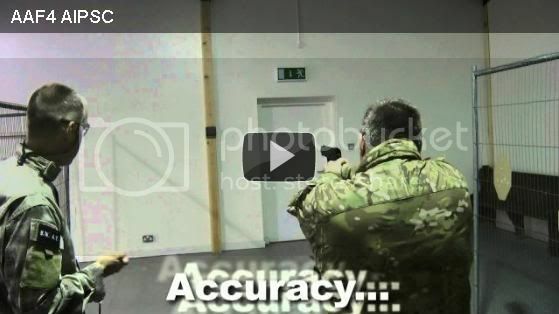 King Arms SIG 556 'Shorty'- Reviewed by Yosser. I’ve skirmished along side enough King Arms owning Airsofters to understand a quality branded AEG when I see one, so I thought it was time I give their SiG 556 ‘Shorty’ a good going over. Packaging wise the box is pretty plain with a large King Arms logo and in the corporate colours with a small sticker specifying its contents. I’m guessing it’s a pretty generic box design for most of their AEG offerings with just the contents sticker giving the contents and specs away. Makes sense in these cost conscience times. Opening the box you are greeted with a protective black foam cover with just a few tantalising holes to accommodate bolt catches etc. 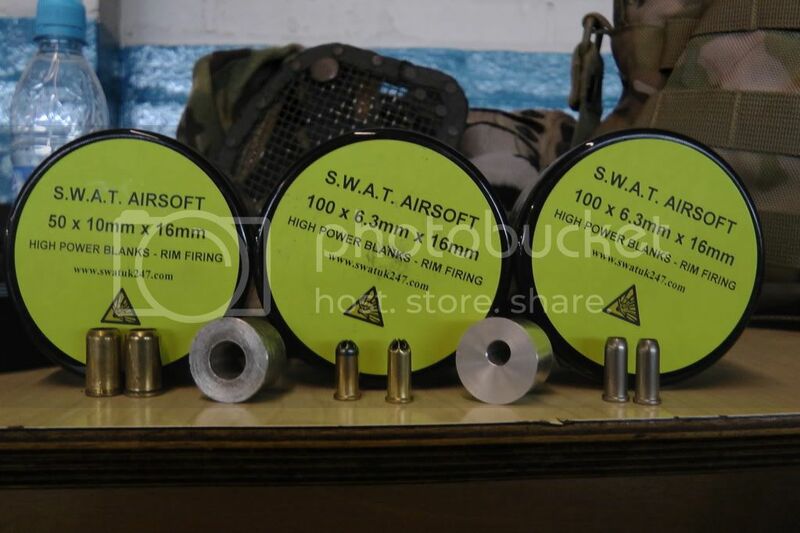 When removed you are free to see your investment in its full glory along with a supplied mid-cap magazine (135 rounds) and a good quality pistol style speed loader. Under the black foam inlay was also a strange metal rod (but more on this later). Lifting the AEG out of the box you soon realise you’ve got yourself a quality piece of kit here. Full metal body and RIS front end with Nylon fibre pistol grip and adjustable stock (5 positions). 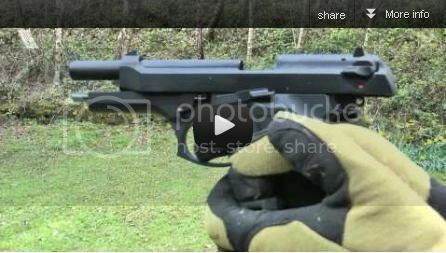 This is a weighty AEG with a good ‘heft’ to it. The full RIS front end is numbered and the RIS rail runs fully along the Upper Receiver with an integrated flip up rear sight and front sight post. You should note that the rear sight is in fact awkward to use unless you have good finger nails or something like a screw driver to flick it up with, this will probably become easier with use, but to be fair given all that lovely RIS I’d be tempted to fit some nice Magpul MBUS sights anyway or an EOTEC. The ambidextrous fire selector on SiG’s is a given really but the stamped serial number and trades is a nice touch. Being a SiG fan this would be high on my ‘must have’ list. 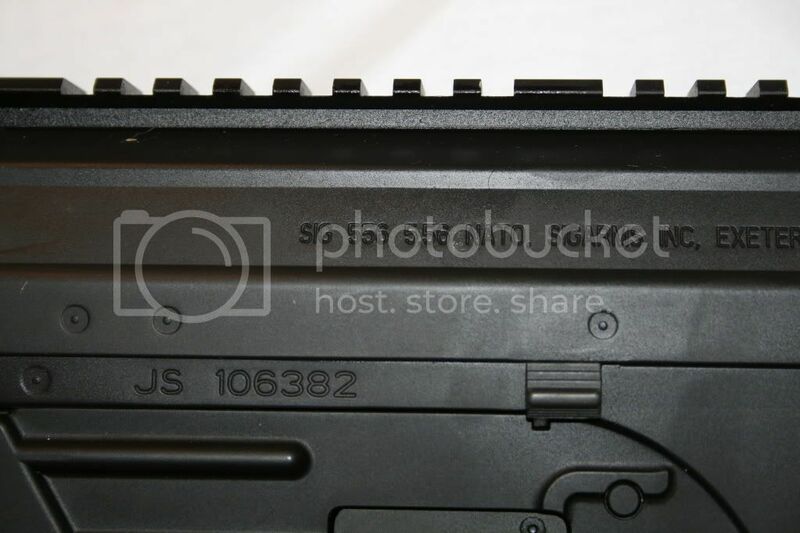 It is Marked as ‘SIG 556 5.56 NATO, SIGARMS INC. EXETER, NH, USA’. Being well embossed I don’t see these fading with use. 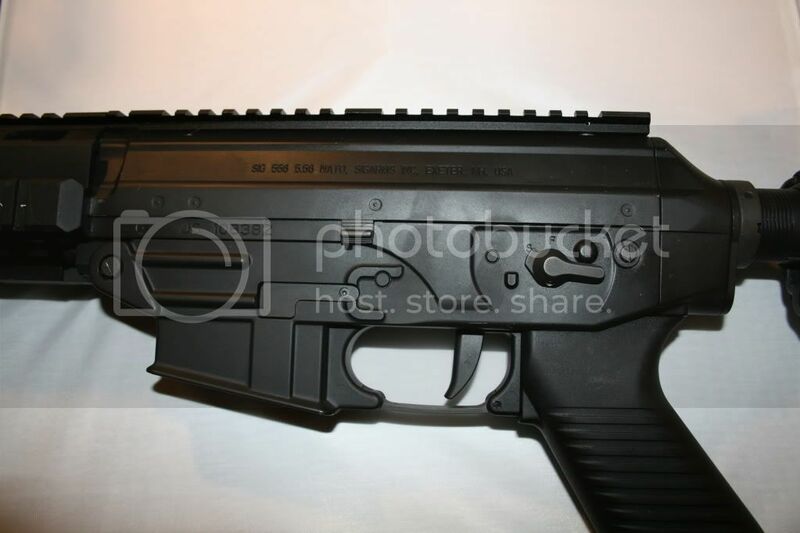 The AEG is finished in a matt black paint work with the numbers on the front RIS in white. 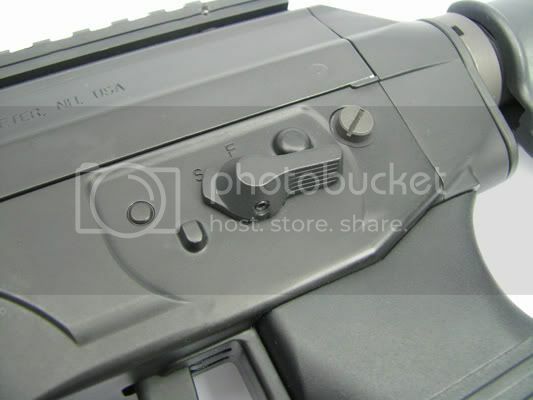 It’s so good to see a manufacturer taking care in presenting their AEG’s, as this sample came complete with product QC card tied to the trigger guard. The card gave details of Chrono testing at the point of manufacture and mine was showing 102-105 meters per sec. which in English is approximately 344.4 feet per sec- so should be okay out of the box for lots of UK site limits. One thing I’ve not yet mentioned is the comprehensive instruction manual that comes in the box which is generic to the SiG 556 range but also has a ‘Shorty’ specific insert sheet, which gives comprehensive battery installation instructions. The manual is generally very good and gives all the safety and disassembly instructions you could want. Reading the manual also told me what the strange metal bit was for – disarming the electric ‘blow-back’ mechanism. 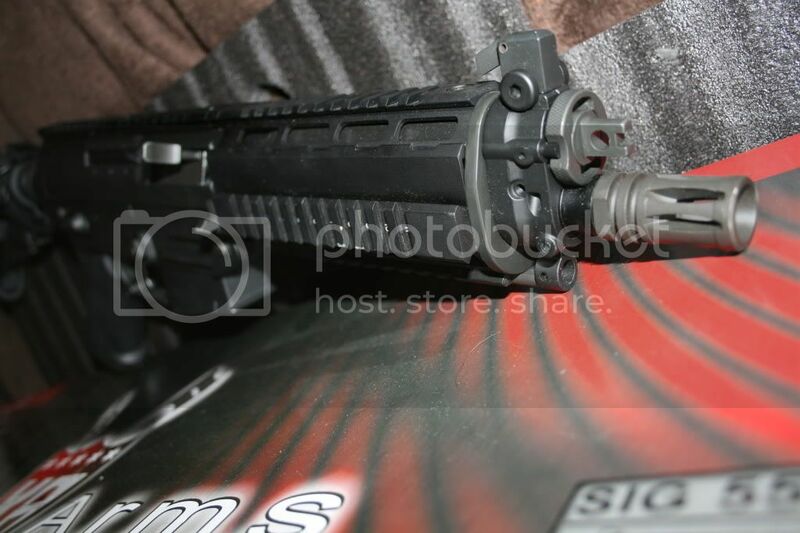 READ THE MANUAL before attempting any dismantling or maintenance on this AEG. Now this is my first experience with an electric blow back AEG and boy did it put a big smile on my face to feel this baby kick. 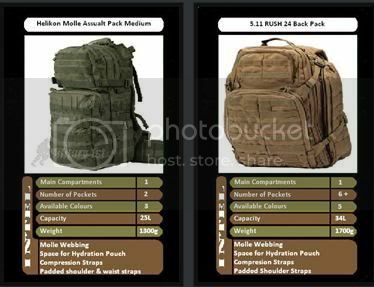 Okay it’s nothing like the real thing but it does add something to the skirmish experience, although the sound is loud and you may not want to give away your position that easily – so maybe it will be disabled by most owners once the novelty has worn off. One feature I do love with this SiG 556 is the ability to accept standard M4 magazines, although I did find it a tight fit with some makes so that’s something to be aware of and King Arms do produce an optional 310rd Hi-Cap. 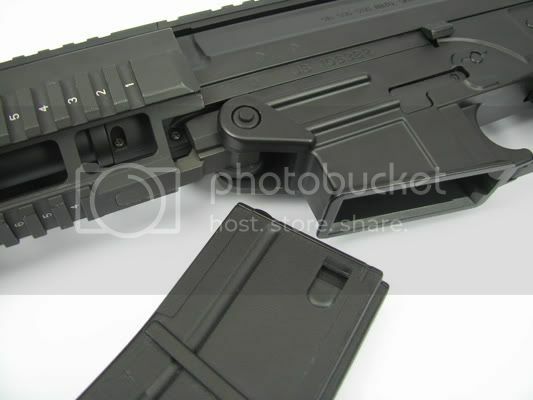 I do think that maybe it should come as standard with either a Hi-Cap or an additional mid-cap and the King Arms Double magazine Clip for the SiG 556 style magazines. Yosser says: On the whole this is a great looking and performing AEG and if you already own an M4 variant you should have a ready supply of magazines. 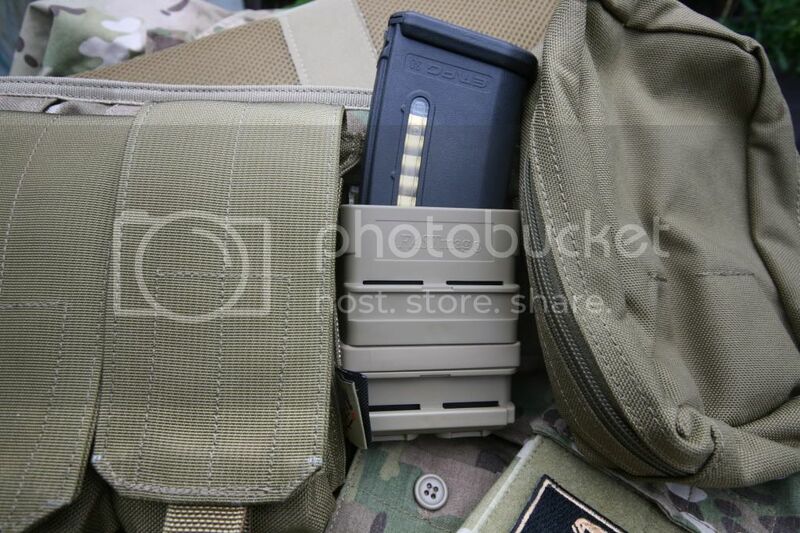 With a Eotec sight and some Magpul E-mags this AEG looks the business! Just feel EBB is a bit over the top for what is a top class AEG. RECOMMENDED but look around for a good price. 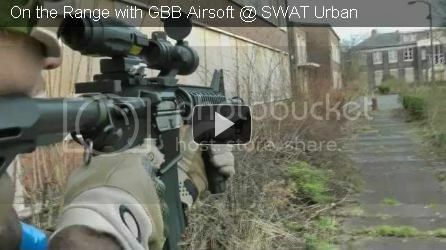 This review is copyright 2011 by Yossers Airsoft Odyssey © and may not be be copied or reproduced without permission. Some Pictures are copyright of EllieTDog Studios © others are used by permission of King Arms. 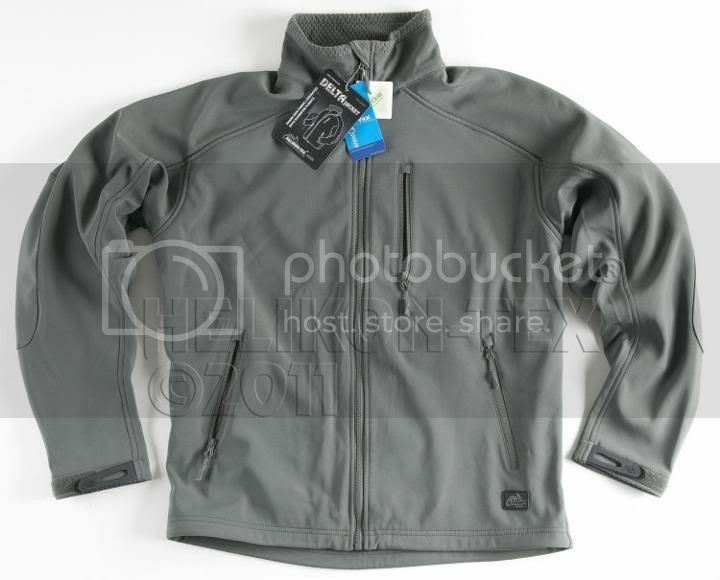 You may link to this page. Great review! 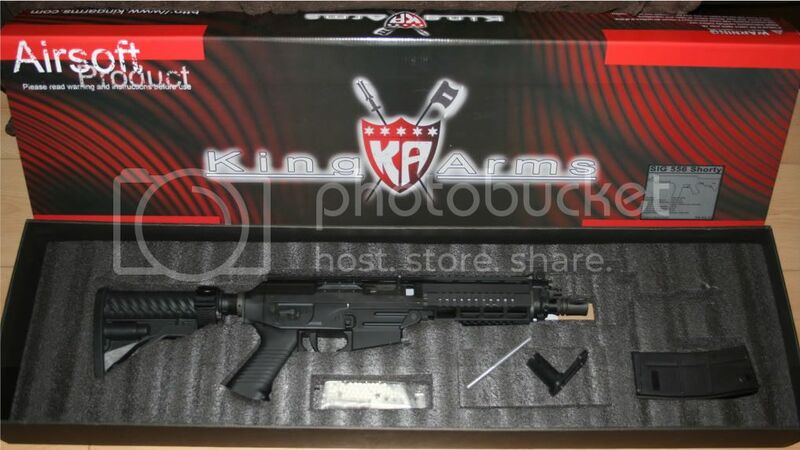 I've been looking for a nice M4 alternative and this has confirmed to me that the KA goes on the wish list :). Great to have such detailed close up pictures too! Yosser, I am sold on a Sig 552, which one though the ICS or the Kings Arms? Im thinking the latter will is better made than the ICS; as someone who has had both what's your opinion? Thanks for the comment. 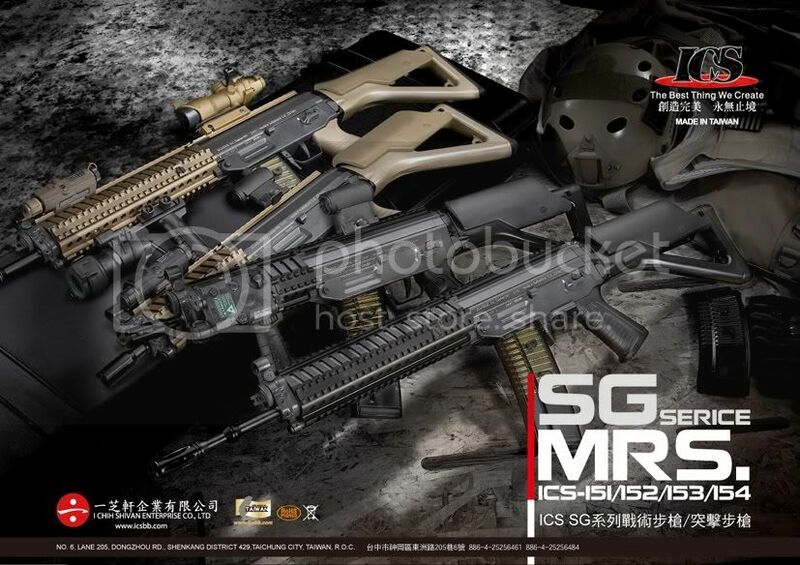 Now KA dont make a SiG552 only the 556 model. It's not a matter of which is best, as they are both brilliant pieces of kit and match other in performance IMHO. Decide which goes better with your kit for YOU. 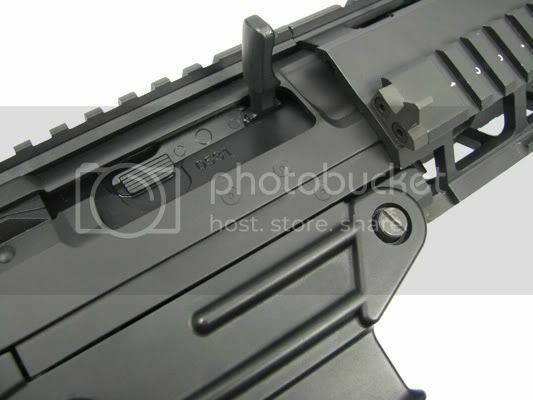 The KA SiG556 uses standard M4 mags (which is something you might already have!) 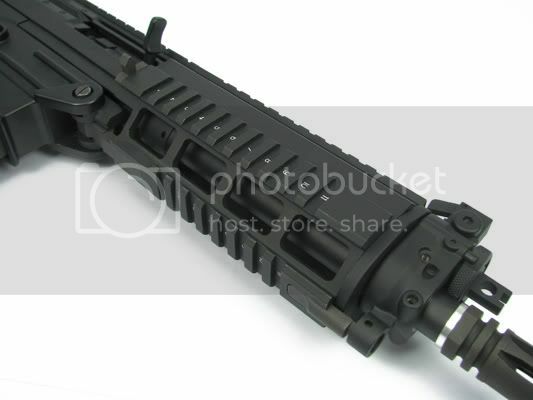 - or if you like all the tactical rails keep and eye out for the ICS SiG MRS series SOON! - let us know how you get on! The battery is wired to the stock? does this mean it's impossible to change out the stock for something else? Heydufflepud - it's rear wired, but so long as a replacement stock/tube can take a battery you should be able to put a replacement stock on it! 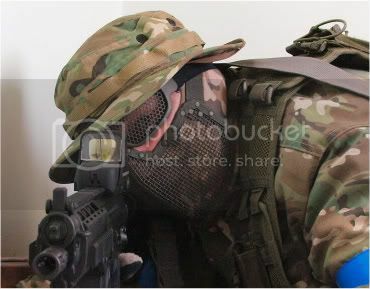 My worked great for about a month and this weekend while in a CQB game it the response slowed down next to nothing. 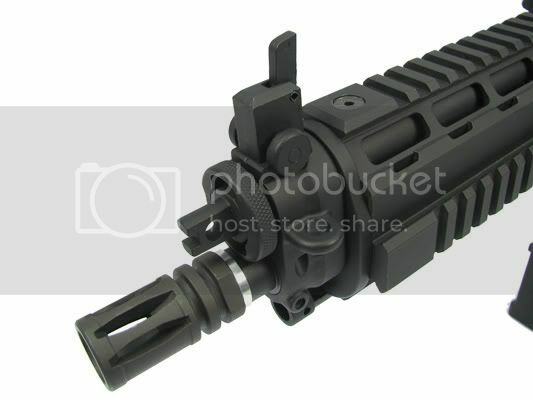 I thought it was the battery being low but after charging it the gun still will not pull the piston back on semi and in full auto it freeze after about 20 rounds. I don't know if its the gearbox or motor. I was able to get the rifle to work again by using the same battery. I just had to fire it in full auto then semi and just keep pulling the trigger. Still not sure what happened but it works, BTW this is the most accurate AEG I have and it shoots as fast as I can pull the trigger. It makes me a Trigger Happy Swiss. Thank you for you advise. Glad its sorted for you - its a great AEG and the KA internals does give it a great ROF, especially with a Lipo! Great review, probably the best on the internet. I have done tons of research on this rifle. It is the one I want. 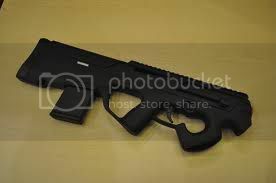 (I started with a pistol, then a shotgun, and this is to be my first AEG)I plan to spend my tax return on it. Thanks for all the pictures on it. Is it better with a 9.6v or a lipo? run a 7.4 Lipo no problem - the EBB has gone on mine but it still functions as an aeg - so no worries - great aeg and compatible with M4 mags. Anyone Chrono it? Stock what kind of numbers? 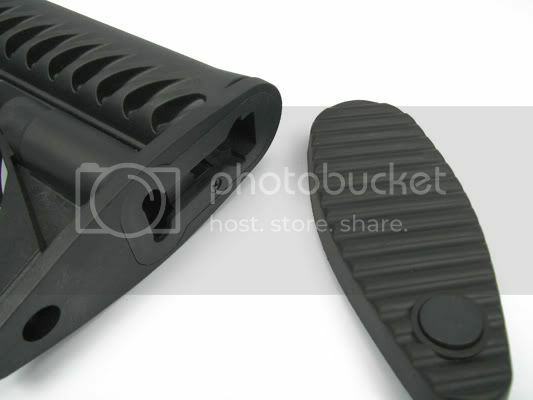 Anyone know if it's possible to get the plastic spacer between the air nozzle and hop up unit? So it's wired to the buffer tube?